Authentic New Orleans style grooves from 'Big Easy' native Rory Faciane. 650 Royalty Free MIDI Drum Loops. Played by professional drummer and Louisiana native, Rory Faciane. Song format: Intro, Verse, Chorus, Bridge, Solo, Outro, Endings. Tempo Range: 85 BPM to 195 bpm. 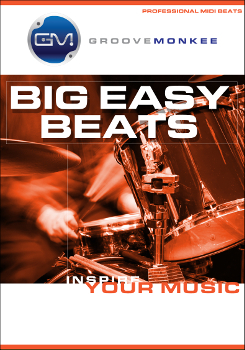 8, 12 and 16-bar loops with over 200 extra drum fills. New Orleans styles: Cajun, Zydeco, New Orleans shuffle, waltz, second line, street beats.